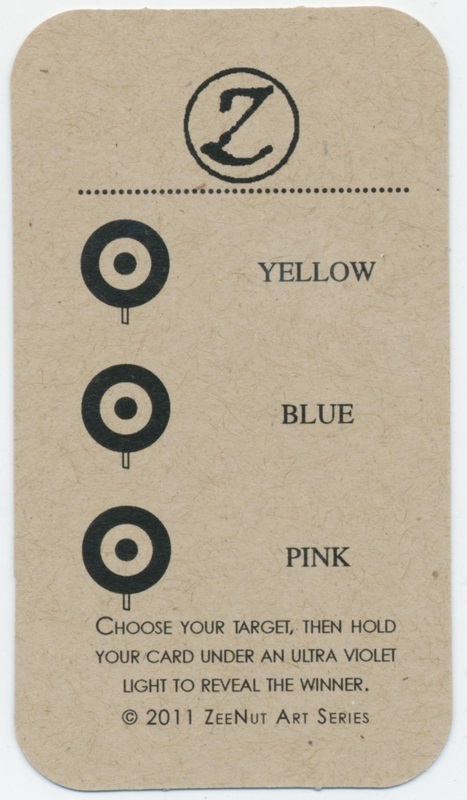 The card at the far left is a "negative" which is exactly how the card looks. 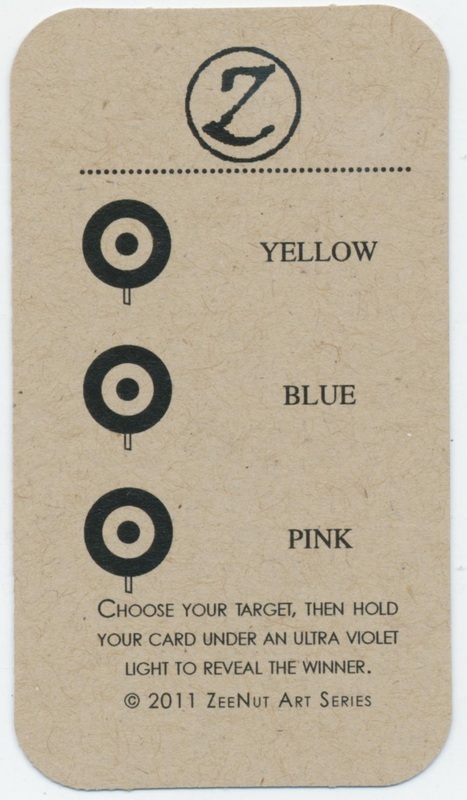 The center card was switched using PaintShop Pro from negative to positive to show the picture. The card above is a completely different card showing a positive picture - of extremely poor quality. 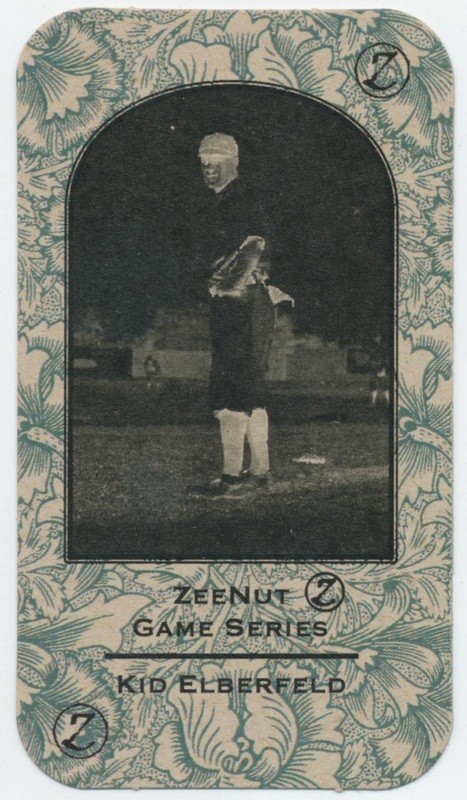 The cards are owned by John Elberfeld. Notes: Dan, all the "Zeenut" cards that have been flooding eBay and other marketplaces are garbage. They are the "creations" of people sitting at computers "producing" cards themselves and their "cards" have no collectible value as they can simply produce more at any time. 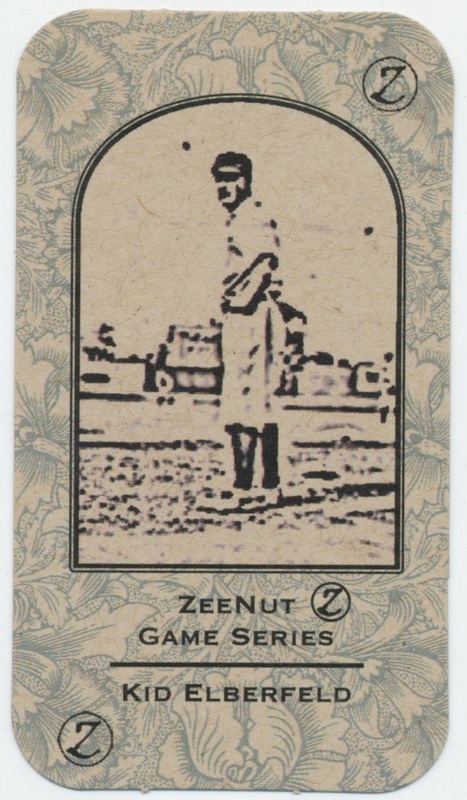 True "Zee-Nut" or "Zeenut" cards were produced by a candy company in Northern California (US) from 1911-1938. The company went out of business shortly thereafter. They produced nearly 4,000 different baseball cards over that time span. 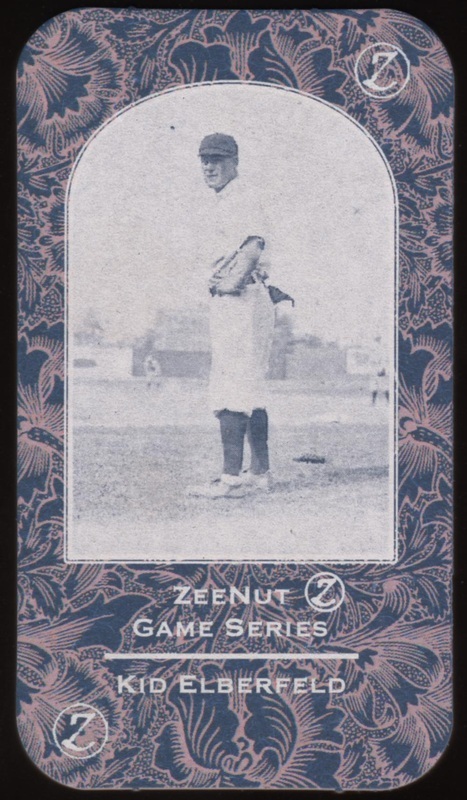 As the company (Collins-McCarthy Candy Co.) no longer exists there is no real copyright protection so someone just seized the name "Zeenut" and began making these "cards" out of their basement. In closing, I wouldn't waste your money on them as I said they aren't actual collectibles as they were not produced with any product and there are also no royalties being paid to those being pictured, etc. Completely unlicensed product.